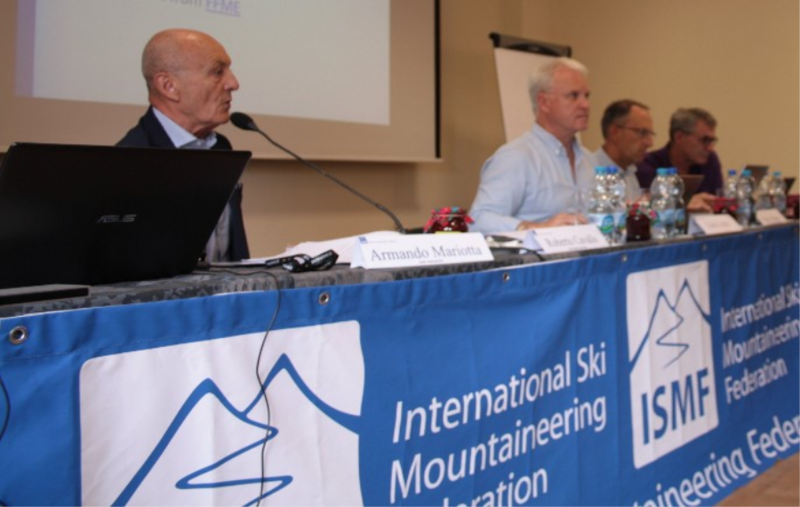 This year, the ISMF Plenary Assembly was held on 16 June in the town of Zakopane, Poland, situated at the foot of the Tatre mountains, and was organized by the Polski Zwiazek Alpinizmu (Polish Mountaineering Association). 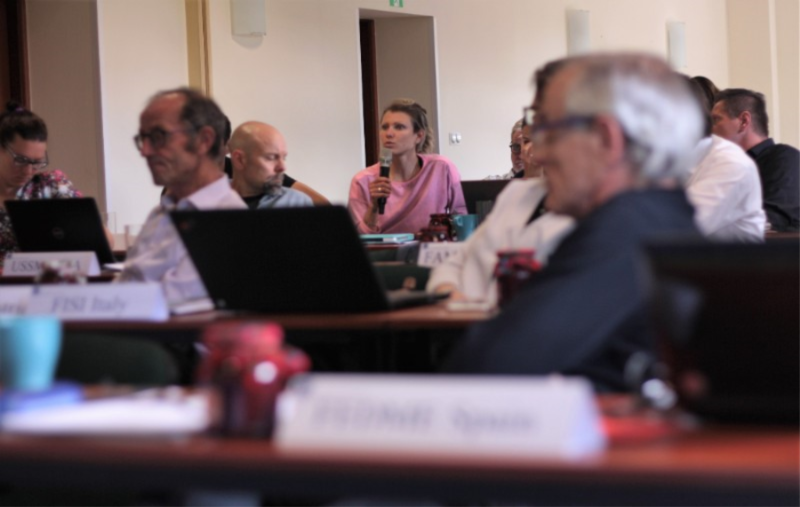 As in previous years, the General Assembly discussed the work accomplished by ISMF staff in relation to the past season, as well as projects for the one to come. The much-awaited official ISMF World Cup calendar for the 2018/2019 season was presented during the Assembly. Next season’s World Cup circuit will have six events – one more than last year. The season will begin on 18 January in Bischofshofen, Austria, with a nocturnal Sprint and an Individual race. The following weekend (26-27 January), the race will be held in the epicenter of Ski Mountaineering – Font Blanca, Andorra. Then, for the very first time the World Cup will be hosted in Super Devoluy, located in the French Alps, on the 2 and 3 of February. China will once again welcome the World Cup in Jilin, between the 20 and 22 February. Three races will be held on three days of competition: an Individual, a Vertical and a Sprint race. Afterwards, the circuit will move to Disentis, Switzerland on the 23 and 24 March. 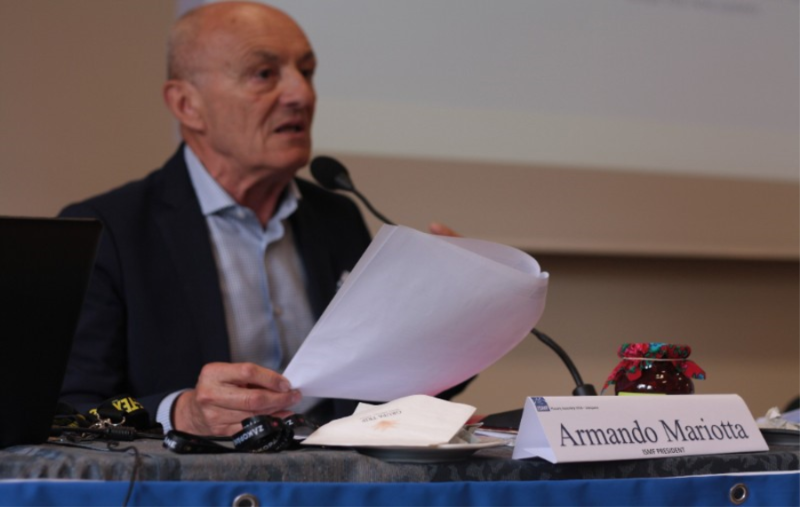 The World Cup finals will be held at Madonna di Campiglio, Italy, between the 3 and 6 of April, where the winners of all the Specialty Cups, as well as the Overall champions, will be decided. 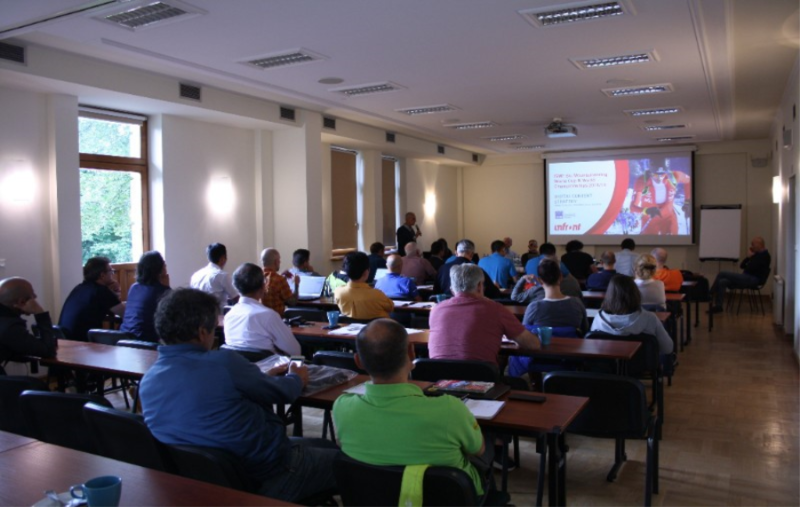 The World Championships, perhaps the most important event of the entire season, will be held in Villars-sur-Ollon, Switzerland, between the 9 to the 16 of March; it will be a test for the 2020 Youth Olympic Games to be held in Lausanne. All key administrative proposals were approved at the Assembly, including the conclusion of the 2017 accounts, the approval of the 2019 budget, the actualisation of sport regulations, and the modification of the Statues to allow for an even more efficient management of the ISMF. 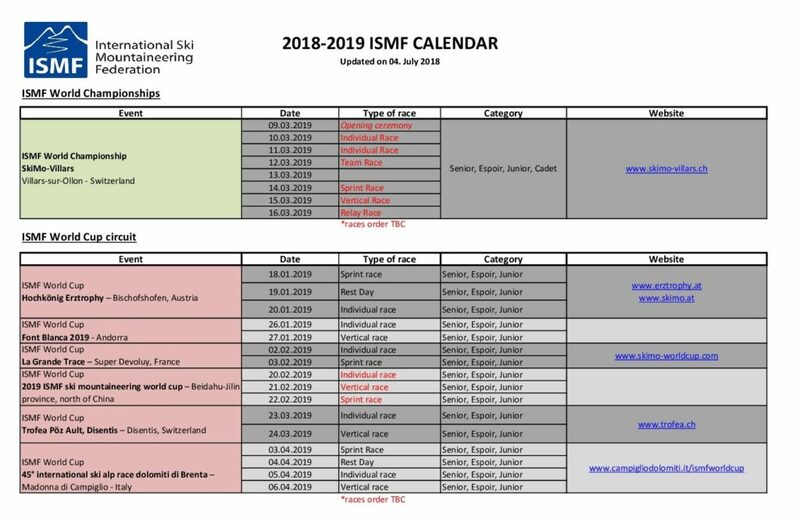 The ISMF would like to thank its 18 National Federations, coming from three continents, for their participation: Andorra, Austria, Canada, China, France, Germany, Italy, Iran, Japan, South Korea, Norway, Poland, Portugal, Spain, Sweden, Switzerland, Turkey, and the United States. The delegates of the National Federations of Denmark and Armenia were voted as Full members alongside Brasil and Azerbaijan. It should be noted that the United States Ski Mountaineering Association was approved to replace the American Alpine Club as Full member. Thanks to the introduction of Provisional membership in the new ISMF Statutes, Nepal and India were able to be ratified as Provisional members. As of today, the ISMF welcomes 36 member nations!